What’s this photo doing up there? Well, lovely readers, I just couldn’t wait any longer to share this with all of you! This is the cover (currently, anyways – no guarantees until it’s actually out!) of my very first cookbook!! It’s called Field Guide to Cookies and it’s a collection of over 100 cookies from around the world, from chocolate chip to linzer to speculaas to alfajores. Each cookie has its own entry that describes its origins, what special holidays and traditions it’s associated with, and of course a recipe! This book is the culmination of a lot of hard work from me, my publisher, and not least of all my dedicated crack team of recipe testers who worked feverishly to make sure all the cookies in the book are delicious! I apologize for not providing more updates along the way, although I’m sure they would have fallen along the lines of, “Doing research on the 85th cookie…surrounded by cookbooks and can’t see straight anymore,” or “Testing 3rd batch of cookie recipe…running out of butter and eggs again.” During the nascent stages of a book, or any other project, really, one is often advised to keep mum about the specifics – certainly, it would be awful to announce to the world that you’re doing a book on the best chocolate desserts ever and then to see that someone’s snatched your idea and put out a competing book on the shelves a month before yours! But now that the book is off to the printers, and it’s been officially announced on various retail sites, I think it’s safe to unzip the lips a little bit and share some of the excitement with all of you! Yes, the book is now available for pre-order – here’s the listing on Amazon . The book is going to be available in November, so I’m sure in the coming months I’ll be talking more about my experiences writing it and even sharing a recipe or two from the book. Thank you all for your continued support and friendship while I’ve been involved in this project – it was definitely a huge challenge to balance work + book + blog + friends and maintain my sanity and good humor! While I’m ruminating over what lies in the future, I’d certainly love to refocus some of my attention back on Dessert First and continue to offer recipes, photos, stories, as well as connect with all the wonderful people out there. So I’ve created my very first poll asking what you’re all interested in seeing more of on this site. I’m trying to think up what I’d like to add to the site, so let me know your opinion. All suggestions and comments are welcome! If you don’t like any of my choices, just leave your suggestion in the comments! In fact, I’d like to invite all my readers to comment and say hello! Every once in a while I’ll get an e-mail from someone saying, “I’ve been a long time lurker and I just wanted to say hi.” Well, I’d really love to get to know who all of you are out there, so here’s your chance! Whether it’s your first visit or tenth, whether you’ve commented once or twice or never, say hi and I’ll say hi back! It would really thrill me! Thanks! I love you all and hope Dessert First continues to be a source of sweet inspiration for you! Anita, congratulations! This is the amazing achievement! You certainly can be proud of yourself. Hi, I just recently found your blog and had enjoyed it tremendously so I am sure I will likewise love your book! Great job and good luck! Looking forward to reading your blog on a regular basis. Anita…CONGRATS!! This is SUCH great news! I am thrilled for you! The cover looks great! I can’t wait to see the inside of the book. Thanks for the heads up! I am already adding it to my wish list of cookbooks! I know it was a lot of hard work, but you are beyond talented so I know the finished product will be amazing!! Good for you!! I enjoy reading your blog and love all of your posts. Of course I love seeing your beautiful photos and tasty recipes. So keep doing what you are doing. You do it best! I do love ice cream, sorbet, gelato recipes in the summer:) And cookies are always my favorite! I am all smiles for you! Congrats again! Congratulations; you should be very proud! I’m so excited for you! And I love cookie cookbooks! Well considering I’ve been a fan of your blog for awhile now, that is so exciting!!!! How cool. You deserve it!! Best wishes to you. Congratulations! What an exciting time for you! Oh wow. Congrats on the upcoming book. I love the title! A cookbook?! That’s great news! Congratulations, can’t wait to look through it! Wonderful Anita. A great achievement. I cannot wait to see it! Congrats on your new book! Woohoo! Hi Anita, you are a marvellous person. Your blog has given me inspiration to start my own blog. Congrats on your achievements and you will do better in years to come. Congratulations! I can’t wait to purchase your book! Hi Anita! Just wanted to say congratulations 🙂 I can’t wait to see what you have to say about alfajores…for now I get my fix from the Ferry bldg or Alemany farmers markets!! 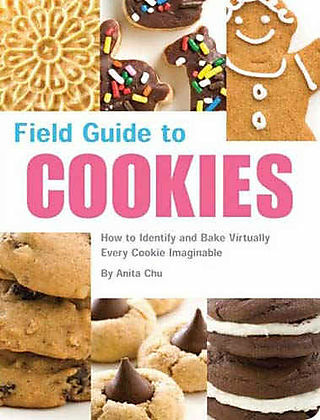 Anita, glad to see that you have a cookbook out! Looking forward to getting my own copy..I love your blog and your creations! First time commentator, long time reader. Took your poll, and it was a toss up between the “basics” and “wanting more.” I’ve learned a few handy tips from your blog so I went with the basics vote although I do definitely want more! Thank you for posting and congratulations on your new cookie cookbook. What great news – congratulations! Congratulations! This must have been a huge project, and without co-author – respect! Congratulations! I can’t wait to get my hands on a copy. Congratulations! I really don’t care what you blog about, as long as it’s about dessert. Congrats that is so wonderful – What a tremendous accomplishment. How very exciting for you Anita. I hope it sells big time! Congratulations!!!! It must be so exciting! I can’t wait to get my copy. Congratulations Anita! I’m so glad that all your hard work has paid off and it looks fantastic! Looking forward to november! Wow your first cookbook how exciting! You must be sick of cookies but now though. You must have had a happy bunch of taste testers though. So excited for you Anita! I can’t believe you are a real cookbook author…what an accomplishment! Can’t wait to read the book! I’m one of those lurkers! Congratulations on the book. Congratulations, Anita! What wonderful news, and what an amazing accomplishment! I’ve admired your pastry creations on your blog for some time now, and I’ll be sure to check out your cookie field guide (I love that clever name, by the way! This is the best news I’ve had all week. My baking heart is full of of joy for you. I am putting a copy on my amazon wishlist now and I hope that one day we can meet so you can sign it. And I’m glad to hear that you’ll have more etime to be back to blogging. I’ve missed you! I love the title of your book- congratulations! You must be really excited and proud. And probably tired, too. I love the title, and although lately I haven’t been doing tons of blog reading, I really enjoy yours. Since you asked about lurkers, I do lurk for more than just during DB time, I just don’t always speak up and say anything. Congrats Anita! I love the cover and can’t wait for mine to arrive from Amazon. Congratulations on the book, what an adventure… and it looks great! How exciting!! Oh my God if I were you I think I’d die with the excitement!! All that you’ve worked and dreamed hard for finally coming together…and this is just the start!! I can’t wait!! ack–a cookie book! that’s so cool! one of my favorite subjects, for sure. can’t wait to get my copy! I love your blog. I don’t bake anything complicated yet but I love reading about what you make. Congratulatons on your book. I’ll be adding it to my wish list. Congrats on the book! It is certainly a huge accomplishment. I don’t know how you get everything done that you do. I’m looking forward to seeing the finished product! CONGRATS!! I have no idea how you possibly managed… I just graduated college and have had the most difficult time adjusting to an 8-hour work day (probably 10-hour in reality) while keeping up with friends and posting on my blog. This is my first time leaving a comment but I’ve been admiring and drooling over your blog for a while now. I love all your lovely creations and most of all, I LOVE your writing. Congratulations on your accomplishment and the best of luck on your future projects! I can’t wait to dive into your book in November! I’ve been visiting your blog on and off for a while and really am a fan. I enjoy the detailed descriptions you your food outings and of course the top recipes. I’m from Sydney Australia, and also share a passion for great dessert. My sister and I recently started a dessert blog which is more pop-culture orientated than anything…anyway, would love for you to check it out…we call it “Stories from Sugartown”. In the meantime I will be adding you to our favourite sites section and look forward to visiting your site more often. hey anita! it’s great to hear such great news! the book looks exciting and i just wanna say congrats! btw, can i ask if the recipes in the book require some “exotic” tools for the cookies? Relatively new reader, first time commenter. Love the site…I am a total recipe addict. Fantastic! How Wonderful for you!! Way to go, girl. Contrats! What exciting news! I will be one of the first in line for this book for sure! You have been tagged! Visit my blog for details! Congrats on your book, Anita! Now I need to figure how to pre-order it to Oz!!! Congrats! I rarely comment on your blog but always do come visit! You shall be much supported by me with the book! I am always inspired by your blog – esp when you incorporate your recipes with Asian ingredients. Congratulations! It’s so heartening to see someone succeed at something they love and are truly talented at. This is my first time commenting. I’m a Chinese American gal who grew up in the Bay, now pursuing a doctorate in religious studies…but I keep looking up pastry schools. Your journey and blog have been very, very informative for me! Thanks so much for sharing. Delurking to say congratulations! I’ve read your blog for quite some time and it’s always been my go-to when looking for dessert recipes. Looking forward to buying the book! congratulations anita! this is fantastic news! wow! you are so very talented! i cannot wait to get your book. as a food photographer, i LOVE cookbooks and your recipes look just fabulous… congrats on all your hardwork! Oh wow how exciting! 🙂 I can’t wait to check out this cookbook as I am a cookie fiend. Congratulations on your book!!! How wonderful 🙂 I can’t wait to go out and get a copy for myself..I’m sure its going to be well used over the years!! I have always been such a fan of your work.Congratulations! I will be getting your book. I’ve been reading your blog for a few months and really enjoy it. I’m also a Bay Area girl and couldn’t help but notice we have a mutual friend on Facebook – Joyce Guan (I know her through dragon-boating). LOVE the local blogs so I was very excited to find yours. Congrats on the book! I LOVE that a prior “non-baking-day-job-holder” now has a cookbook. It gives me more passion around doing what I love the most. Congrats, my dear! I had no idea this was in the works–which makes it even more of a lovely surprise. Nice job, I am delighted for you! I am so happy for you, Anita! And wish you only th best for your cookbook and your furtur projects. Here’s to more 100 cookies!